December 6 2017. Nearly 550 Master athletes are entered in the National Club Cross Country Championships in Lexington KY. This piece previews the Men’s 60 and Up Race which is over an 8 km Course and goes off on Saturday, December 9 at 9 AM. 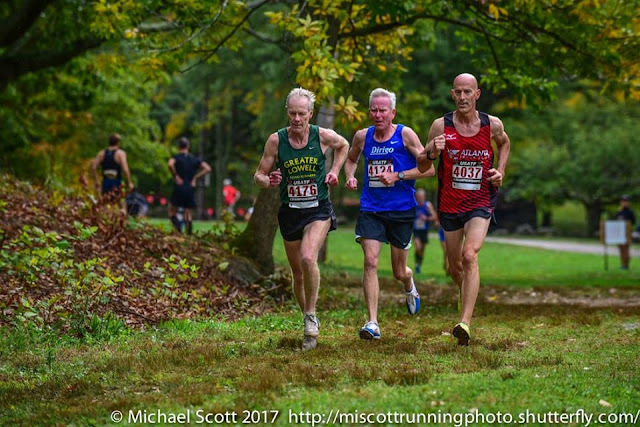 Bill Quinlisk, longtime USATF XC and Road Race referee, described the course as: "...a 100% Kentucky blue grass loop course with a crushed stone short bridge crossing on men’s courses only. There are rolling hills with an uphill stretch to the finish of all races. It is definitely a spikes course!" Current forecasts for 9 AM are for cloudy, 26 degree temperatures and 9-10 mph wind, with a 22% chance of snow showers. 60-64 Typically what is predicted overall for the 8K race is also the main prediction for this group. John Barbour was runner up to Rick Becker in San Francisco two years ago and to Brian Pilcher last year. It would be nice to say the field is wide open for Barbour this year, but no such luck. Even without Pilcher, the field is packed. Becker returns after a year off last year for foot surgery. He has had several strong runs over the last two months and is all the way back. More importantly, Becker’s teammate from Club NW, Joe Sheeran, has aged up from 55-59. Two years ago when Becker took the 60-64 title in 28:58 over 8K, Sheeran was taking 2nd in 55-59 with a 35:35 over a 10K course. That 35:35 is age-grade equivalent to a 28:17 8K. Becker figures that the three of them, Barbour, Becker and Sheeran will form a lead pack along with anyone who can stay with them. My guess is that Ken Youngers may stick quite a while with them unless he tries for a different strategy. Youngers could not stick with Barbour all the way to the finish at the 5km Masters XC in Boston but there may have been an element of home course advantage. Most likely at some point Sheeran will be able to throw in a surge that none of the group can handle. Then it will be a replay of the San Francisco duel between Becker and Barbour, except for 2nd and 3rd this time. Youngers is my favorite for 4th. But there are a half dozen others who will challenge Youngers for the podium. Those include Barbour’s teammate, Matthew Curran, who has an 18:54 5K to his credit along with a 39:09 at the Lone Gull 10K, and Thomas Cushman, of the HOKA Aggies, who has an 18:48 5k along with some low 19 minute ones. 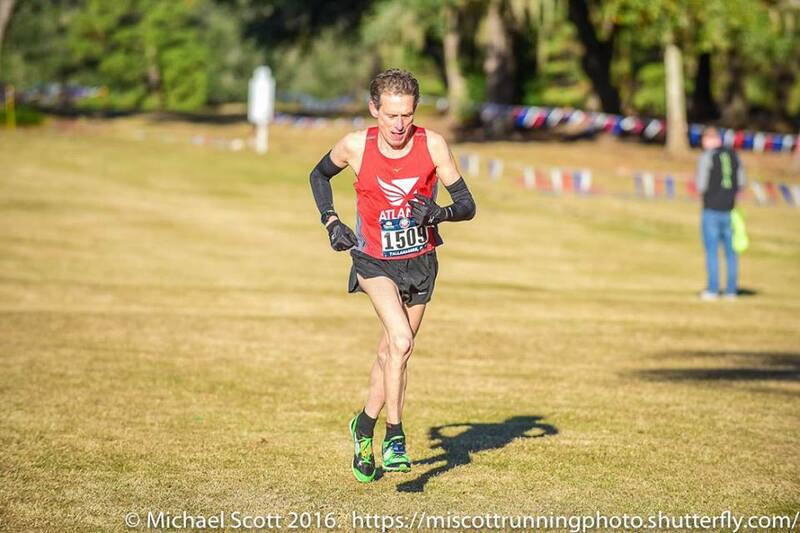 Michael LeBold, of San Diego, has a recent 18:56 to pair with his 18:42 effort at Carlsbad in the spring. Reno Stirrat appears to be nearly all the way back from a period marked by injury and health issues. He clocked an 18:59 at Syracuse in the 5K National Championships. Two years ago he finished 4th in ths division at Club XC; that is probably a stretch too far but there is no doubt Stirrat will give it everything he has! Mark Rybinski, who edged Stirrat for 3rd in 2015 and claimed 4th last year, has missed most of the year and is probably not far enough back on his recovery to contend, but it would be great to see him out on the course competing for GVH. Brian Cummins and Kevin Dollard, who clocked identical 19:12 5K’s at the 5K Championships at Syracuse, will also have a chance for the podium. 65-69 With Doug Bell, Tom Bernhard, and Peter Mullin giving this cross country race a miss, it looks like Syracuse’s James Foster and Atlanta’s Kirk Larson will renew the rivalry they enjoyed at Dave Oja’s last hurrah in Syracuse. But this time it will be for the gold medal. Two months ago Foster had a two second lead at the hal;fway mark and stretched it to 8 seconds by the time they reached the finish line. At Tallahassee last year, it was the same story where Foster got out just a bit faster and then gradually stretched the lead. Tallahassee is a beautiful, groomed course and Syracuse I, of course, on roads. Will the slightly more challenging nature of the course at Lexington make the difference that will allow Larson to make a serious challenge to Foster’s recent dominance? We shall see. It does not appear that anyone else can really stay with those two. Larson’s teammate, Jerry Learned, may well be the best of the rest. After finishing 8th in the division last year, Learned has come on strong this year, achieving consistent mid-80’s age grades for the first time in a few years. His 20:10 5K at Syracuse to take 6th in the age group was the culmination of several consecutive excellent outings. If we use 5K times as a gauge, the race for the final podium spot may also be a race between Atlanta and Syracuse. Theodore Larison was only 18 seconds and two places back from learned at Syracuse. Boulder’s Richard Katz, who finished a half minute back from Learned when they met at the 5km Masters XC Championship in Tallahassee last year, cannot be ignored. 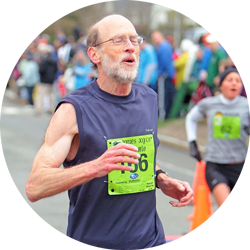 Ann Arbor’s Eduardo Matsuo, who has just aged up to the 65-69 group, prefers races in the 15k through Marathon distance but is learning how to run the shorter distances. He came in almost a minute ahead of Learned in the 15K and that endurance will help on the XC paths, but Learned should still have the edge at the 8K. Cal Coast stalwart, ‘Coach’ Bill Sumner, could play a role as well. 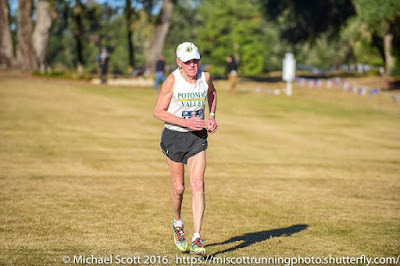 Although he was well back at the 15K, he has set out a few pretty fast 5K’s this year in the low to mid-21 minute range and also has a 28:15 4 miler. If he can hang tough on the XC course, he could factor into the podium race. 70-74 Donald Porteous and Len Goldman finished 2nd and 3rd behind Ron Wells last year. Although the details are not clear, Wells suffered a freak accident upon returning from Switzerland; apparently another passenger plowed into him from behind with their luggage. He had apparently been thinking of coming anyway so I hope that means the injury is rather temporary. In the end, Wells decided to skip the race. That leaves it open for me to make Porteous and Goldman the favorites. At the Pacific Association XC Championships 3 weeks ago, a 6 mile race, they came in 1-2 at 44:23 and 44:40, with their teammate, Gene French, about 4 minutes back. But there will be plenty of competition. Dave Glass was not at Tallahassee last year and he has taken 3 straight national championships this fall, the 5K, the 5k XC, and the 15K at 20:56, 21:53, and 1:06:15. In the 5k XC race, the defeated French by about 1.5 minutes, suggesting his times are roughly comparable to those of Porteous and Goldman. Tony Gingello was ahead of Glass at the 5K until the final 200 meters and, although a bit further back at Boston, finished 2nd. 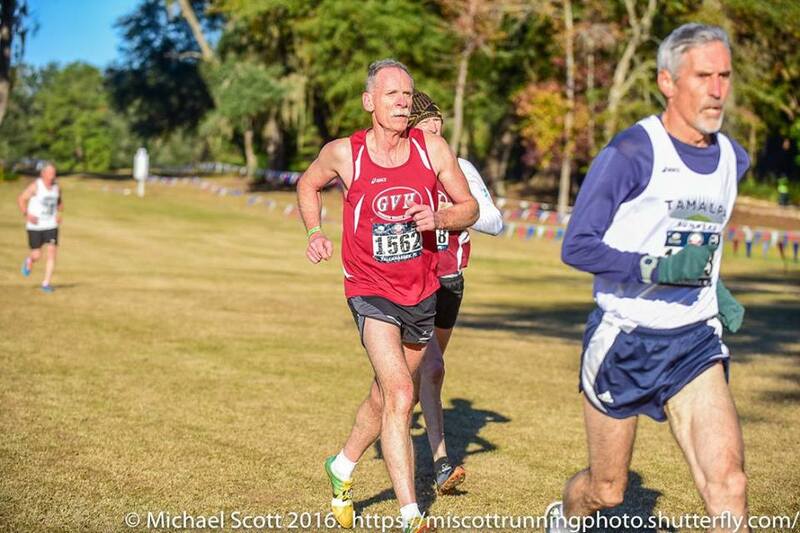 Earlier in the year, Gingello took the 70-74 title at the 10K national championship at Dedham. I will add myself, Paul Carlin to the group of contenders, but I will have to prove I belong. Third at Syracuse, tracking Glass, I was not able to go with him when he moved to close the gap to Gingello. Earlier in the year, Gingello passed me in the final 300 meters at Dedham to take the gold medal. And in the 15K, I was never in contention as Glass took off at the gun and was never headed, neither by me nor Bill Dunn nor Robert Hendrick, who took 2nd and 3rd just ahead of me. Teammates Craig Andersen and David Longmuir of the Pacific Northwest’s Eastside Runners, also seem well placed to challenge for the podium. 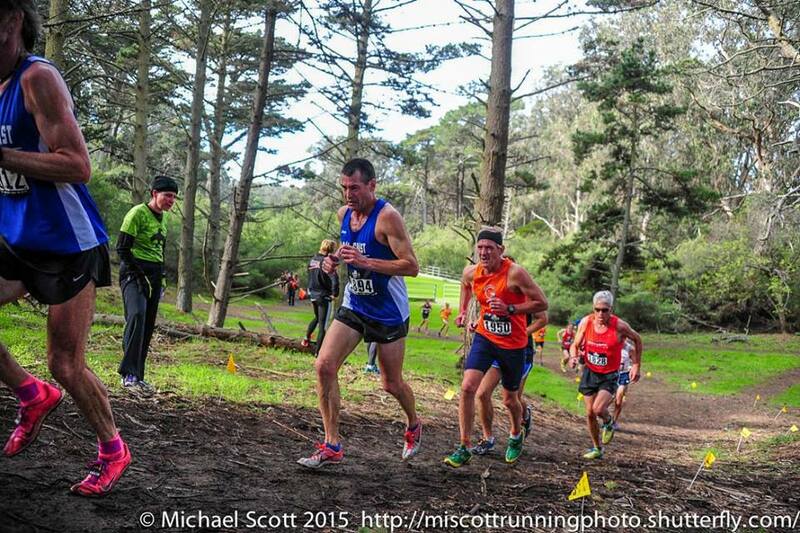 In a recent 5K race, Longmuir had the edge, 20:36 to 21:37. But in a 5km XC race, it was Andersen with the edge, 21:44 to 21:58. Even without Ron Wells, the competition is likely to lead to a fast race. 75-79 David Turner finished 2nd to John Elliott last year. As Elliott is not entered, that makes Turner the closest to being a defending champion. But Turner will face a quartet of newly minted 75 year olds since last year: Ed Bligh, James Callaway, Denny LeBlanc, and Charlie Patterson. To retain his title he will also have to fend off Edward Smith, a tough runner who did not enter Club XC last year. Smith took 13th in 70-74 in 2016 with a time of 23:51. Smith did not run that championship this year but took 2nd to Doug Goodhue in 7:03 at the 1 Mile Championships in Flint. That suggests something like a low 24 minute capability for a fast 5K course. Turner ran a 25:39 in September. Callaway has several 5Ks in the 24:06 to 25:31 range and a 32:51 4 Miler; LeBlanc has several 5K’s in the 24:40 to 25:29 range, along with a 44:14 5 miler and a 56:03 10K. Callaway came in a minute ahead of LeBlanc last year at Club XC in Tallahassee. 80-84 This one is the easy preview. With one entrant, I can safely predict that if Jim Askew makes it to the finish line, he will add this gold medal to his collection. It would be his 4th in a row at our national championships. He took the 1 Mile, the 5K, and the 5K XC Championships prior to competing at Lexington. And that is it for the veterans—next on to the under 60’s men, all 297 of them! If there is time after that, a very quick look at teams!